On the 30th of March 2019, Mr. Koji Sakane, JICA Senior Director for Peacebuilding and Reconstruction, gave a presentation on Triple Nexus approach at the JICA Ichigaya Global Plaza. His presentation was followed by a vivid discussion among the participants. 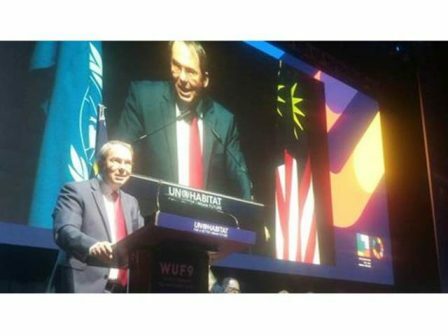 During the World Humanitarian Summit held in 2016, the United Nations and others argued that there was a need to connect “Peace(P)” activities with Humanitarian(H) and Development(D) activities, which were known as “Humanitarian and Development Nexus”. This “Humanity-Development-Peace NEXUS” is called “Triple Nexus”. The background of this argument came from the recognition that the international community had not responded effectively to current challenges and problems, such as conflicts, and resulting refugees and internally displaced people (IDPs). Current progress of Triple Nexus and its challenges as well as challenges on achieving “Sustaining Peace” are explored. Since 2016, the international community has made significant efforts to facilitate Triple Nexus. With these efforts, Nexus between Humanitarian, Development and Peace has been promoted. JICA has also contributed to this initiative. For instance, JICA has produced and shared a common data set which integrates both refugee data and that of recipient community in refugee receiving areas of Northern Uganda. 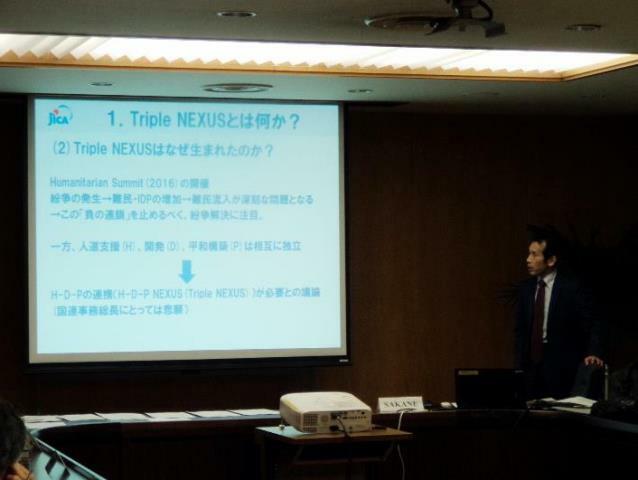 However, Mr. Sakane also pointed out that Triple Nexus approach does not always go smoothly and successfully. This is due to the fact that actors and objectives are different among Humanitarian, Development and Peace activities. Regarding the H-D Nexus, which is old and new agendum, the stance of Humanitarian and Development actors is fundamentally different, in terms of approaches to stakeholders concerned in conflict setting and “neutrality” on their intervention. Therefore, humanitarian actors raise concerns that a H-D Nexus jeopardizes the International Humanitarian Principle and thus, they do not want to be connected with development actors. In fact, the Triple Nexus itself is not a prime goal for intervention. Rather, we have to look for the way on how to solve current global challenges. In order to realize “Sustaining Peace” in the world, the changing nature of current “Crises” has to be recognized. The global hegemony has gone through the transition from a Bi-Polar system (Cold War Period) to an Unipolar one and further moved to Multi-Polar or Non-Polar System (Present). In addition, the nature of conflicts and crises has also changed from inter-state conflict (conflict between states) to conflicts between states and terrorism (the term “Fight against Terrorism” was established to name such a conflict), and to current emergence of Criminal Violence at the civilian level (such as mafia or gang), State Violence and Far-Right Extremism. In order to cope with such new “Crises”, it is necessary to focus on their root-causes, such as disparity and exclusion. It is critically important to create a diversified society, which assures “Rule of Law” and realizes the SDG concept of “No One left Behind”. 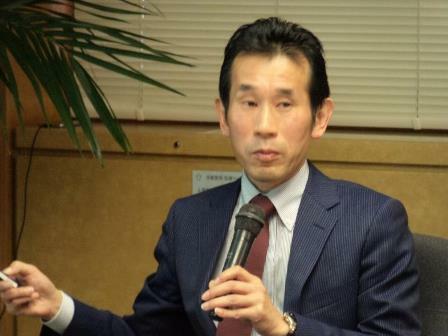 In a discussion that followed the presentation, Professor Higashi first spoke about his official visit to Iraq, Turkey, Ethiopia, and South Sudan, assigned by Foreign Minister of Japan in February and March 2019 and appreciated Mr. Sakane’s cooperation on his field research; then he talked about his visit to UN Headquarters in New York and explained about the process of UN reform being carried out for integration of UN peace-related activities with the creation of Department of Peace Operations (DPO) and Department of Peace Policy Activities (DPPA). He then asked about what JICA is doing to realize the smooth transition from humanitarian emergency phase to stability and development phases. 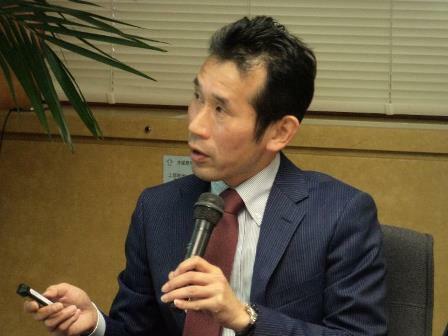 Second, Mr. Kurosawa raised a question regarding the cause of the dispute, which is cited as inequality, inhibition, and injustice. What kind of support does JICA provide for inequality among them? The second was the need to link humanitarian and development more than 30 years ago with regard to HD NEXUS, the reason being the need for development assistance in order to reduce the burden on areas receiving large numbers of refugees. From the point of view of implementation, this issue is still an issue for the international community. We should focus on this issue as well as the post-conflict humanitarian and developmental coordination. Ambassador Inomata mentioned that it is important to respond with a humanitarian assistance-development nexus approach to the ever prolonging recovery and reconstruction process of recent conflicts and disasters. But there is no general formula for its realization. Rather, it is essential to address the issue along with individual cases where the H-D-P nexus applies and to see how the concept of “No one be left behind” permeates at a grass-root level to eliminate the root causes of the dispute or disaster at the community level and what ties role it provides to promote the nexus throughout H-D-P phases in reconstruction. Such a nexus response to the prolonged recovery is valid not only for developing countries but also for Japan. For example, the cause of the prolonged recovery from the Great East Japan Earthquake is that the administration did not properly face the people’s fear of radiation. He wondered whether the return of evacuees still as many as 80,000 from the Fukushima nuclear accident and the restoration of local livelihood would depend on the strengthening of Triple Nexus, which is based on “No one be left behind” to fully address residents’ needs. 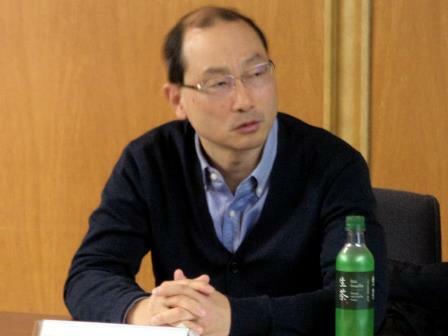 After Ambassador Inomata, Professor Kubota, three persons made their comments and asked for clarifications. They were Mr. Nakanishi, Professor Kubota and Ms. Hanzawa. Mr. Nakanishi pointed out 2 points. First, it’s better to look more closely at the links between humanitarian activities and development assistance. Second, he commented on the importance of the “rule of law”, not “rule by law”. Considering the nexus among humanitarian activities (H) – development assistance (D) – peace keeping activities (P), he thought that there were already many examples of the nexus between H and D, even though it’s relatively difficult to raise examples of the nexus between P and D. Although it’s quite understandable that the principles and the institutional backgrounds formed from each category of H-D-P are different, he understood that there are overlapping principles and institutional backgrounds among the categories. He then asked Mr. Sakane to clarify and categorize the existing cases for the nexus between H and D in order to discuss the overlapping consensus for the three nexus and formulate institutions from them as well as making a typology. The second point Mr. Nakanishi made was that in the concluding part of the presentation, written as “rule by law” which he thought should be “rule of law”, considering the context of the presentation. If it’s the former concept, the meaning is completely different. So please take the meaning of the two concepts into your consideration. 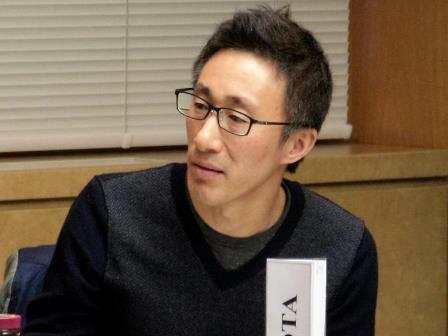 Associate Prof. Kubota discussed that state legitimacy should be more influenced by wartime services that civilians received from political actors including anti-government armed groups than those provided by the government in the post-conflict context. He then questioned how development sectors/actors, including JICA, would take this point, given that they normally avoid providing aid in areas that the state does not control during conflict. 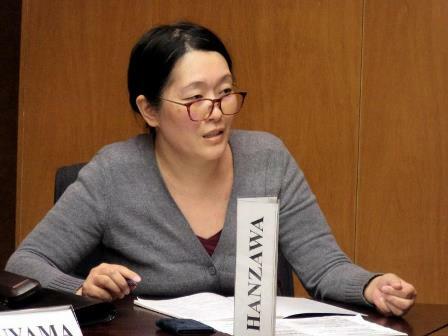 Ms. Hanzawa of ICRC indicated that while the ICRC is an organization that implements humanitarian assistance, it is moving towards the same goal of realizing a society that establishes a fair “rule of law”. The ICRC, which is the guardian of the International Humanitarian Law (IHL), asks for compliance with the humanitarian law and that can be directly connected with reconstruction and development, e.g. through an implementation of the principle of proportionality. In summary, she expressed her thought that ICRC’s activities cannot be caught up in the framework of humanitarian assistance alone. She then asked when JICA might be engaged in Syria considering the H-D linkage. It is idealistic to implement Peace operation in advance to Humanitarian and Development operations. However, currently conflicts often recur after conflicts, and 3 operations of Humanitarian, Development and Peace are taken place parallelly and at once on the ground. For addressing “Inequality”, introduction of inheritance tax or other taxation measures are effective, but it is not sure how much extent JICA conducts such projects. JICA’s commitment to Triple Nexus is similar to the World Bank approach, and JICA conducts Peacebuilding projects through Development measures. This is due to the fact that JICA is not allowed, by law, to conduct military operations (such as PKO) and political measures (such as peace negotiation), as well as Humanitarian operations in conflict setting. In order to reduce burden on refugee recipient countries, JICA conducts projects in such countries as Uganda, Zambia and Palestine. Regarding the Peace(P) and Development(D) Nexus, JICA provides assistance on Security Sector Reform (SSR), through capacity building on Police sector, or Demobilization, Disarmament and Reintegration (DDR) operations. For spreading out Japan’s knowledge and experiences, JICA invites stakeholders in conflict-affected countries to Japan and shows them Japan’s reconstruction process in Hiroshima and Tohoku (North Eastern Japan). Through such visits, he recognizes that Japan’s experiences are quite useful and applicable to conflict-affected countries. Regarding the development assistance in areas where governments are not in control under conflict setting, JICA’s operation is quite limited because JICA’s operations are conducted through a G-G (Government to Government) base as Official Development Assistance (ODA). State Sovereignty has to be respected, and the roles of external actors are quite limited since they are bi-standers. National ownership is indispensable for achieving sustainability. There are many examples of H-D Nexus. But due to time constraint, explanation on H-D Nexus cases is quite limited in the presentation today. Finally, regarding Syrian operation, JICA conducts host community assistance in neighboring countries, such as in Jordan. As for reconstruction in Syria, JICA is now preparing its own strategy. 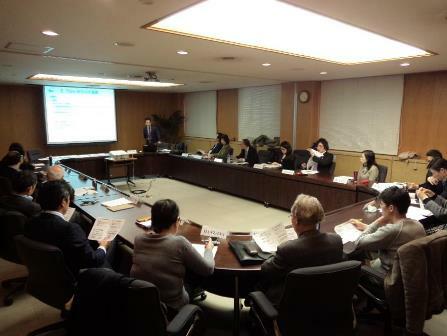 The discussion was concluded by closing remarks from Mr. Hasegawa who made three points. The first point was the necessity to achieve the recovery of society before shifting from humanitarian support to development assistance. He was pleased to note that this issue had been comprehensively addressed in the international community since he had discussed it with then UNDP Administrator Mark Malloch Brown when he was visiting Japan for TICAD II in October 2018. 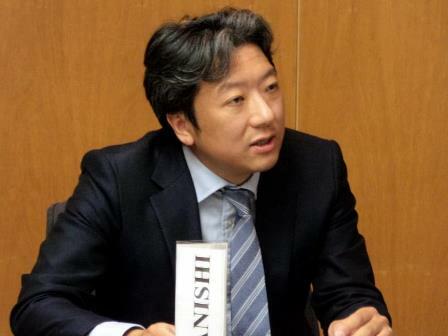 Secondly, concerning the minority left behind in society, Hasegawa mentioned that Japan being an ethnically homogeneous nation, it was an idea worth considering as JICA’s new role to support the inclusion and basic human rights of non-Japanese people living in Japan. 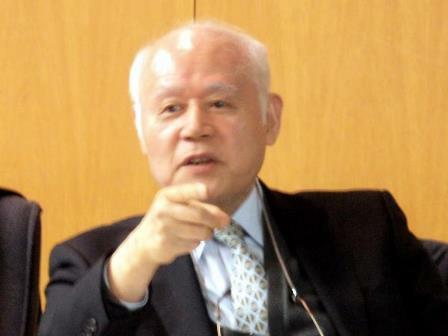 Thirdly, in Mr. Sakane`s presentation, the need for two “freedoms” from poverty and fear was pointed out for the purpose of achieving human security, but as Immanuel Kant preached in his vision of “perpetual peace,” it was important to secure a more important third “freedom.” It was freedom from human greed for power and wealth held by many leaders. As Kant argued, national and community leaders can contribute to social stability and peace by being liberated or freed from their greed. 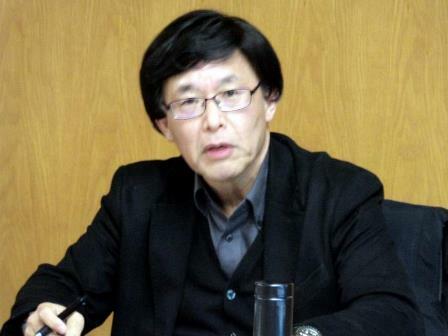 Hasegawa advised that Japan should include in its foreign policy to send special envoys to dialogue with leaders of authoritarian regimes and conflict-prone countries.